4 Logon Main Baithne ki izzat hai. Sweeper: Mere Paas Naukri Hai. ki birthday party rakhi,banta:6 month k baby ka B'Day kese. Santa:Hum semester system ko follow karte he. Har student ka khwab hota hai 40 marks...!!! A "capacitor" 2 store good thought. Sachin asks him: It's not 50 or 100! Santa says:Only engineering studnt can understand imp of scoring 23! Bhai behen bichadne ka kya hua anjaam? YAAR WO SCHOOL KITNA PYARA THA. Lekin Ajj Tum Mili To Kehta Hai Your File Not Found ! Par Dil Kee Computer Mein Nahi Hai Enough Disk Space ! Tumhara Intezaar Karte Karte Mein So Gaya ! Yeh Dekho Mera Connecting Time Out Ho Gaya…. dil ka PASSWORD to batao! to bazaar mein bikte hai! bhai ka VIRUS aa jata hai! COPY PASTE se kaam karte hai! humne SAVE karli hai ek FILE! there is no more ‘disk space’. An Architect, Engineer And Owner Decide To Design A Building. The Architect Asks The Owner What Style Of Building He Wants. The Owner Describes The Building Down To Each Detail For The Architect. The Architect Spends A Day Drawing A Cartoon Of The Building And Submits It To The Owner For Review. The Owner Looks At The Drawings And Hates Everything He Sees. A Week Has Passed And The Owner Has Made The Architect Go Back And Redraw His Picture Several Times Before The Owner Reluctantly Agrees On How The Building Should Look. next, The Architect Submits His Picture To The Engineer For Design. The Engineer Takes The Picture And Begins Calculating And Creating Computer Models To Determine If The Building Will Stand. The Engineer Finds That The Architects Proposed Picture Would Require Structural Members Having A Strength Greater Than Could Be Provided By Any Material Known On Earth. The Engineer Calls The Owner And Explains The Problems With The Architect's Picture And Makes Suggestions On How To Remedy It. A Couple Of Months Go By And The Engineer Has Finished His Design. He Submits His Drawings To The Owner For Final Review And It Looks Nothing Like The Original Proposal By The Architect. The Owner Then Asks What The Final Price Of The Building Is And The Engineer States It Will Cost 3 Times As Much As Originally Quoted. The Owner Turns Red With Rage And Begins Shouting Colorful Adjectives. The Owner Then Takes Out A Pencil And Paper And Scratches On A Piece Of Paper A Building That Is Aesthetically Pleasing, Practical, And Half Of The Original Cost. The Engineer Takes The Drawings And Returns A Week Later With The Finished Design. The Building Was Built At Half The Original Cost And Looks Exactly Like What The Owner Had Drawn. The Owner Says He Loves His New Building But Asks, What Has The Architect Been Doing These Past Couple Of Months. The Engineer States He Is Not Exactly Sure. Therefore, They Both Go To The Architect's Desk And Ask Him What He Has Been Doing These Past Couple Of Months. The Architect Looks At Them Both Puzzled And States Without Taking A Breath, "i Have Been Contemplating A Dilemma Of Substantial Proportions That Adversely Effects The Space Flow Continuity Of The Contours And The Absolute Existence Of The Surrounding Aesthetical Hyperbolic Curves Within The Universal Constraints Of The Feasibilities Studies". The Owner And Engineer Look At Each Other Nervously And Wonder About The Future Existence Of The New Building. They Ask The Architect What Is Exactly Is The Problem. The Architect Then States He Is Not Sure If The Trim Should Be Painted Pale Fancy Teal Or Bold Beige. The Owner Becomes Aggravated With The Architect And Says, "just Paint The Damm Thing Blue". and statesman born in Muddenahalli-Kanivenarayanapura in present day Karnataka. He served as the chief engineer during construction of Krishna Raja Sagara on the Kaveri River near Mysore. He also built many dams in the Bombay presidency (present day Maharashtra). The dams built by him are still functional even today, a testimony to his brilliance, skill, honesty and dedication. So 15September, Engineer’s Day 2010 which becomes 150 years since a legend was born, is quite a remarkable tribute to the greatestIndian Engineer Bharat Ratna M. Visvesvarayya. 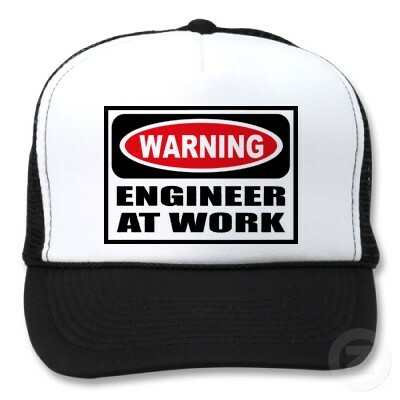 Now they are called ENGINEERS………. Girl:Kaun si FILM Ka HERO? Khoob$urat ladkiyan zyada padhai nai karti bcoz? Tin2:"This is called ohms law". IN 2020 Bikhari: Bhagwan K naam pe kuch de de. Engnr: Ye le meri B.E. ki degree. Bikhari: Nahi chaiye, Tujhe chaiye to meri M.B.A ki rkh le. India Has The 2nd Largest Pool of Scientists and Engnr in The World. Doctr & Engineer Luv d same Grl. Dr. givs her a Rose bt Engnr givs her Apple daily. Eng: An Apple A Day Keeps The Doctr Away.! Gal:wah!canu cm 2 meet me nw? This is called engineering drawing. M.B.B.S -Membr of Bomb Blasting Society. which is the most popular machine known to engineering student? "U knw somthng but it doesnt work-"
Prcticals is "Sumthng wrks but u dun knw y"